Pain relief for cats who have arthritis can be tricky, because your cat may experience stiffness, joint pain, and difficulty moving at times. 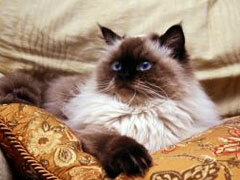 Arthritis can be very painful, and can affect the quality of life that your cat has. If your cat is having seizures, she could have feline epilepsy. Since there is no test for feline epilepsy, the veterinarian will have to do a thorough work up in order to eliminate other causes of cat seizures. A cat who runs a high fever or whose body has overheated because of environment like being locked in a hot car, may seize. 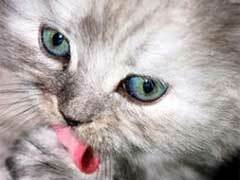 Another cause of seizures in cats is anemia which results in the brain not receiving enough oxygen. Epilepsy in cats is very disconcerting for pet owners. There are three recognized types of cat seizures, namely, petit mal, grand mal and status epilepticus. Petit mal seizures symptoms like limb twitching and blank stare are so mild in nature that might not even be noticed at first by pet owners. Grand mal seizure symptoms, on the other hand, are more vividly displayed. Cat Throwing Up – What Can I Do To Help? No one wants to see, or clean up after, their cat throwing up. Because cats have sensitive digestive systems, there are a number of causes. Most of the time the cause is simple and it can be remedied easily at home. Cat vomiting causes such as these can be hairballs, food change, eating too much too fast, and eating indigestible items. 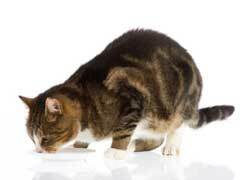 If your cat throws up after eating, it is usually caused by these problems. Feline Renal Failure Diet – What To Feed To My Cat? 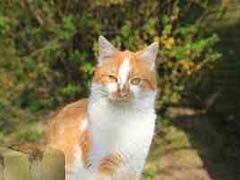 Feline renal failure is a term used for kidney failure. This is a common ailment among cats; one cause is thought to be heightened ph from large amounts of ammonia. That’s what makes cat urine smell so bad. 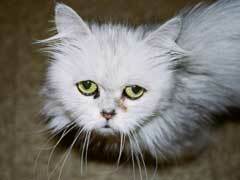 Cat kidney failure creates a snowball effect of toxin build up in their body. A large number of symptoms can be caused by this, mostly weight loss from not eating. Most importantly, though, is that these toxins are poison, poison that will cause the failure of other important organs if not kept in check. Allergies To Cats in Babies – What Can I Do To Prevent? 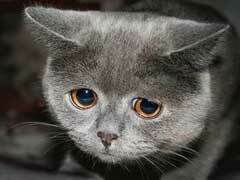 Severe allergies, such as allergies to cats, are a kind of bodily malfunction. When something enters our body that shouldn’t be there it may trigger a sneeze or cough to expel it. If it’s on your skin you may get an itch, your body’s way of getting the allergen off the skin. These are normal and can be felt by almost anyone, just go rub yourself down with poison ivy. No, don’t really. Cat urinary tract infections, or UTI’s, are a common are a common nuisance for both cats and cat owners. 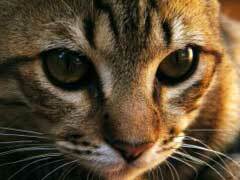 Since there are different causes of a UTI in cats, there are different remedies for each cause. Here are the top 5 home remedies to aid in your cat’s quick recovery. First thing you need to do is acquire a list of all the cat urinary tract infection symptoms your feline is showing. Hairballs are a normal part of life for any cat. Neither your cat nor you enjoy them though. Hairballs are just what the name implies; balls of hair that get stuck in your pet’s stomach and need to be regurgitated back out. Cat hairball prevention starts with taking the hair out of the equation. Here is a list of the 5 best ways to do so. Just like your cat needs lots of attention for comfort, they will also need attention for you to know when something is wrong. Cats can’t talk, so it is important to watch your cat’s actions and habits to look for abrupt changes without known environmental causes. 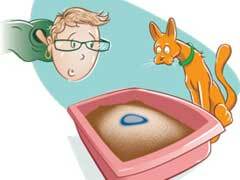 This is the best way to monitor your pet for cat illness symptoms. 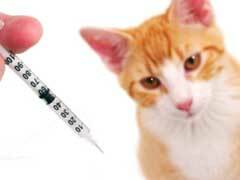 Cat vaccinations, like human vaccines, are an important weapon in the battle against disease. These vaccines help to all but eradicate many diseases that were once the leading causes of death for our pets. Because side effects are inherent in any medication, it is good to know what to look for and why the, low, risk is necessary. Here is a top 10 list of the most important things to know about cat vaccinations.